The massive venue, an initiative of The Children’s Democracy Project, will host 90-minute tours, including what promises to be a “once in a lifetime chance to feel what it’s like to be president on Air Force One.” The visits don’t come cheap: $30 for adults, $15 for children ages 3-12 and $20 for seniors. And photos inside, per the FAQ, are strictly verboten. It’s unclear just how realistic this Air Force One imitation will be, but given Andrews is all of eight miles away, it’s a good bet that someone who has been on the real thing will take the tour and report back. 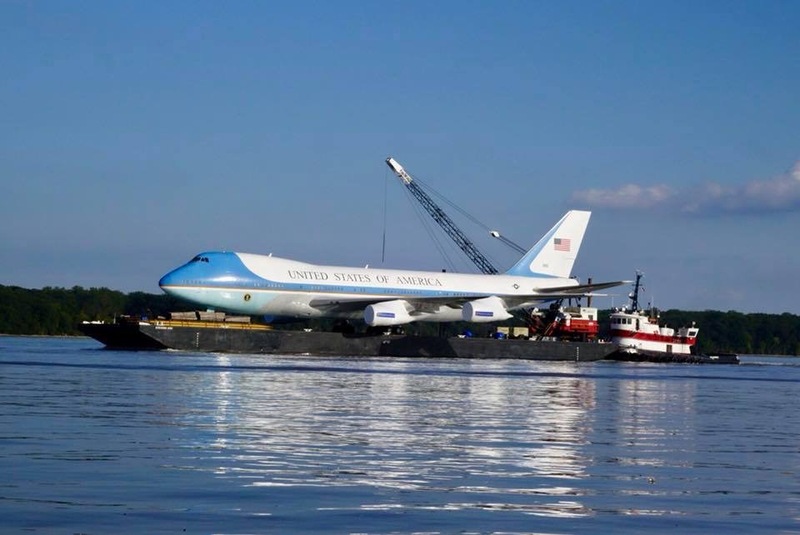 The next version of the genuine article will be a modified Boeing (NYSE: BA) 747-8, with 4,000 square feet of interior floor space, advanced communications systems and the ability to withstand a nuclear blast. President Donald Trump struck a $3.9 billion deal with Boeing in February for two of them. To house them, the Pentagon will construct a 366,000-square-foot, two-bay maintenance hangar at Andrews with administrative and warehouse support space —115-feet high, 660-feet long and 575-feet wide.